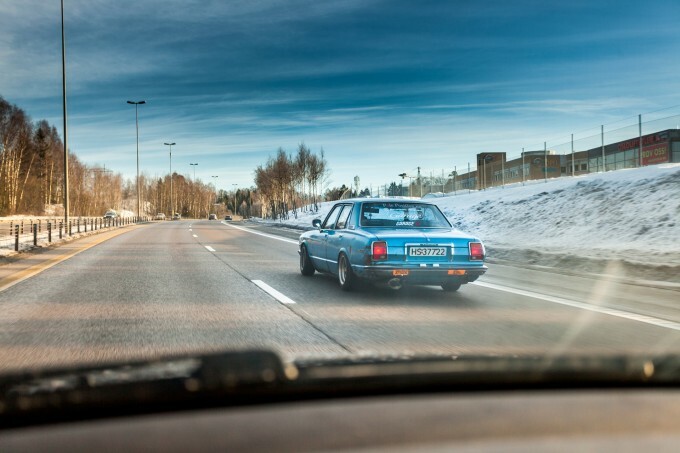 As much as I love tearing up racetracks and attending awesome events like Gatebil, there is no denying that the Underground Cressida was never meant to be a race car. 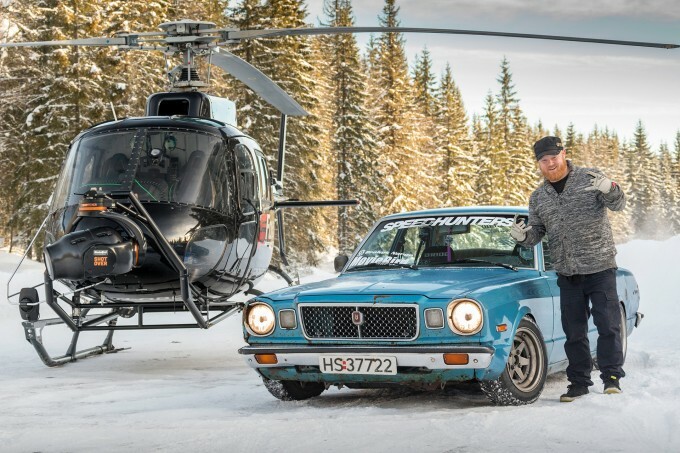 It was built as a daily driver and belongs on twisty back roads in the Norwegian countryside. Our previous production, Bring Back The Touge, was a dream come true for me. Closing down a twisty mountain pass and attacking every corner as hard as I could in a car with no cage and no power was both scary and fun. Mostly fun. So for our next project we had to raise the bar. Being Norwegian, the initial idea was quite obvious. Let’s do it again, but this time in the snow! The result is Scandinavian Flickfest, which you can check out by hitting the play button above. A location was scouted and a crew assembled. My employer, MovieBird Norway, once again helped me out a lot. Last time they brought their Russian Arm. This time? 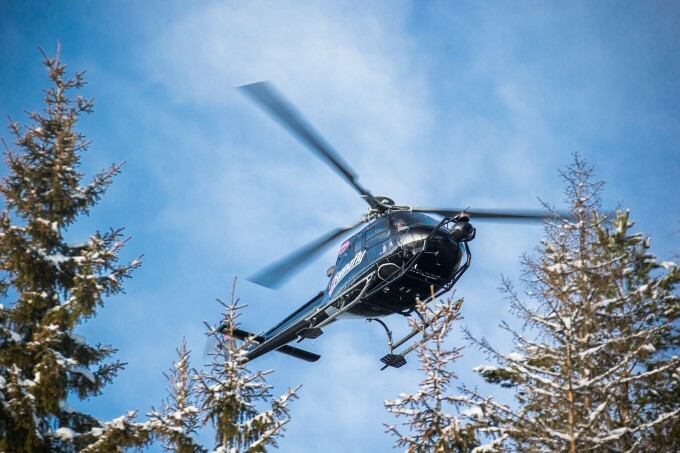 A bloody helicopter fitted with an insanely expensive gyroscopic camera rig! Like in BBTT, we figured that having a pretty girl next to me was a brilliant formula that we should stick to. This time however, my lovely sidekick had an important job. 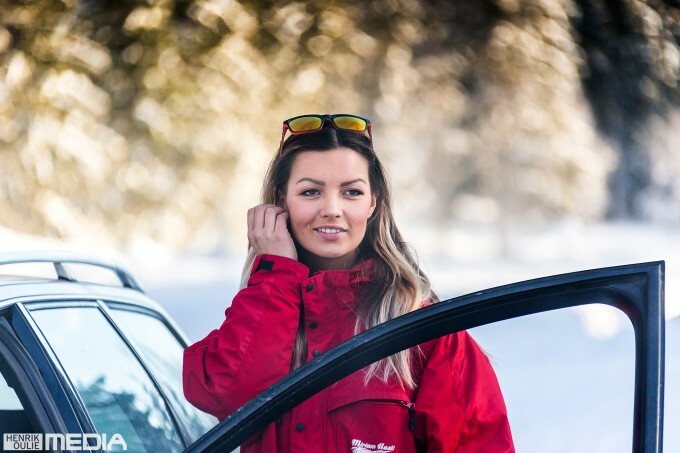 You see, Caroline Eng is not only a model and a TV producer, she is also a professional rally co-driver! Having her reading the pace notes actually made a huge difference. Even on regular street tires, we averaged speeds that were a bit risky without safety equipment. But no risk, no reward, right? Seriously though, don’t do this on a public road. 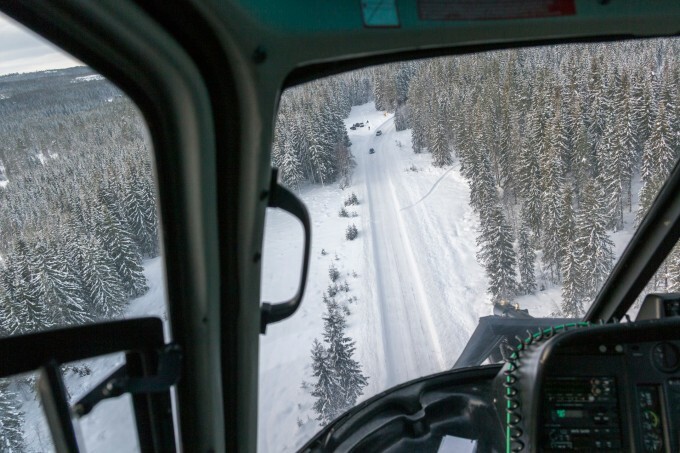 You do not want oncoming traffic when you are flying over a crest sideways! Of course, the entire stage was closed down while we were shooting. You might think that getting permission to shoot a video like this would require a lot of paperwork. That’s where having a registered and insured car comes in very handy. All we needed was authorisation to close the road and drive a bit fast. A few phone calls and we were good to go! The shoot was a blast. We tried to do everything on the first take. Not that skid marks are visible on snow, but I’ve found that with practice chances are it looks less edgy. Even though I might go faster on the 8th take, it looks a bit too controlled and dull. I wanted to push myself to attack right away and make it as authentic as possible. 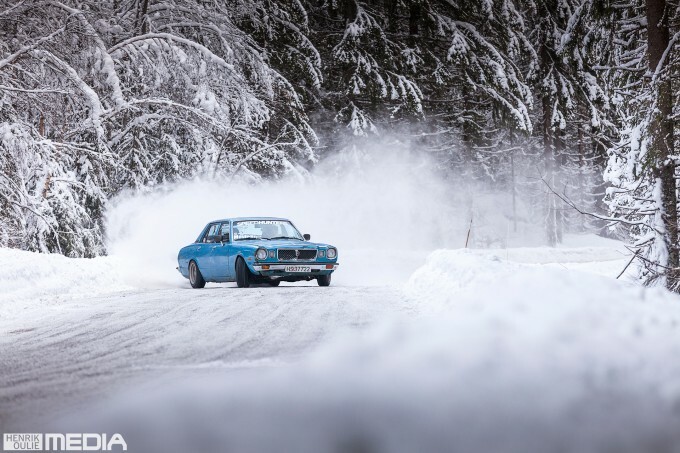 After all, rallying is about conquering the unknown. I hope the excitement and thrill of making this movie shows in the end result. 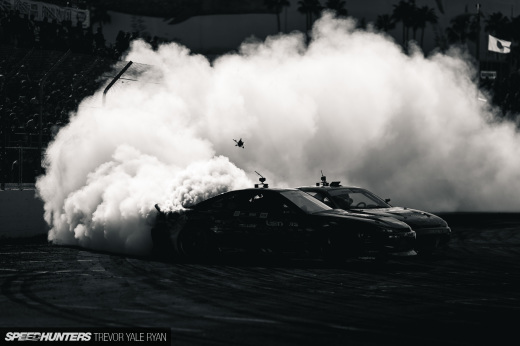 A big thanks to Henrik Oulie for supplying these images, as well as Speedhunters for allowing me to share my experience with you guys. A special thanks to Daniel Hovdahl for making it all happen, and to MovieBird for providing the helicopter and Krypton for the slow motion camera. Finally, a big shout out to Lars Dahl for recording and mixing the sound. The only negative feedback we got on the previous production was the lack of sound from the RED Epic camera. I hope this soundtrack makes up for that! It reminded me of Climb Dance a little, cool video. Is the Cressy still packing a 2JZ-GE? It sounds different. ITB's? How are your extractors collecting? Great to see another vid from you Fredrick. This car is a big inspiration for my 2JZ-GE Crown. That was in equal parts insane and brilliant! Love it. Fave part was cornering completely sideways. Fantastic. Fredrik Sorlie smithadamb Righteous! I'll share it now. Wow, living the dream. Love that bodystyle. Love it! 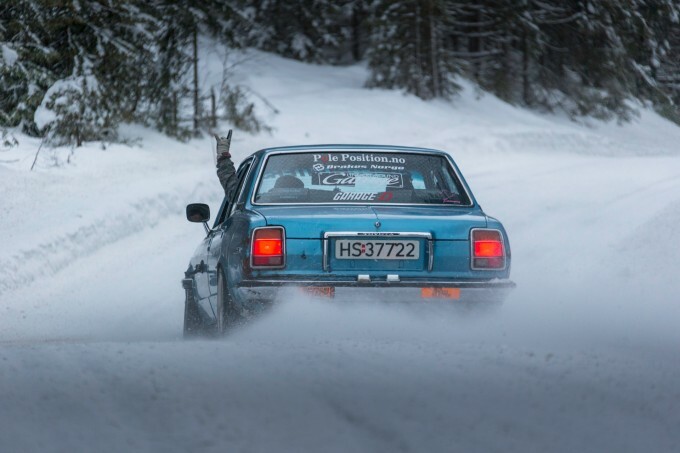 Long live the Uhttp://www.speedhunters.com/2013/11/simple-style-that-drift-cressida/! Whats the track that plays out over the credits? Awesome!!! Great driving and edit! This car is my new hero! I love it! 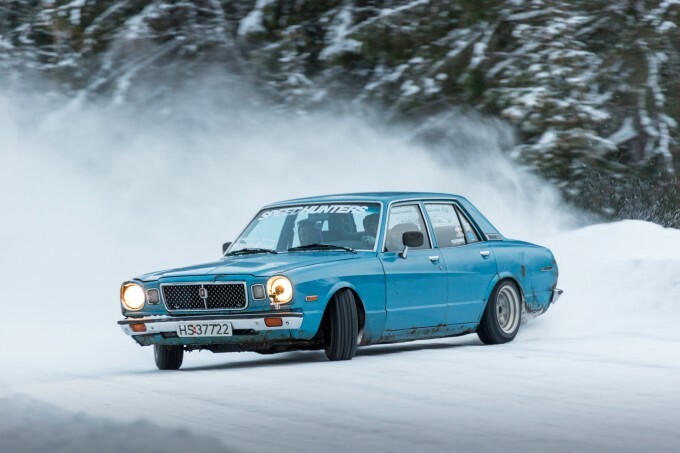 The Cressida with Supra 2JZ engine in snow....what's not to like it? Not a huge fan of your safety systems.. please get a decent cage built and at least give your friend a helmet? Risk your own noggin if you must but this is a truly terrible example to be setting for an sometimes impressionable audience. And its a supported vid?. 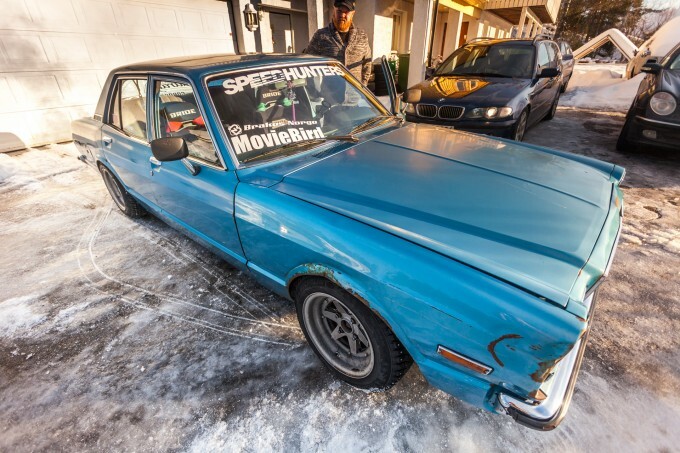 speedhunters..im a massive fan but seriously.. what are you doing? A cage is planned now though, as I want to go back to the Nordschleife to do a sub 8-minute lap. Not going there again without a cage! 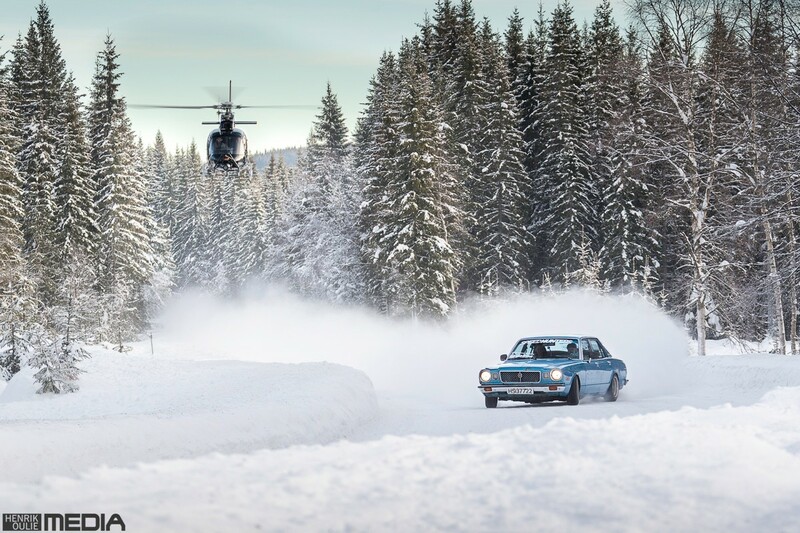 Fredrik Sorlie alisterp Hello Fredrick, first of all congratulations on a great video and an awesome drive. I'm on the fence about this issue - until a week ago I was the sort of guy who was always out riding bicycles really fast on city streets, then I got hit by a car. Didn't hurt my head, thankfully, but it was one of those wake up calls. I understand taking the risks, etc... But when they are done needlessly I now wonder! What if you had hit a snowbank and you or your co-driver had slammed their head through a window, or into the dash board, etc? Until something like that happens it's easy to say "well, we're taking the risk." Once it happens - and hopefully once is all it takes - you'll probably look back and say "gosh darnit, what was I thinking?" All the best. - G.
Amazing car and of course amazing pilot! That's great! Congratulations for this video! gliebau Fredrik Sorlie alisterp I totally see your point, and I'm not really going to argue. All I can say is that I have some experience in these conditions and know how it feels to hit a snowbank. You need to mess up pretty bad for it to hurt that much at these speeds. Especially while going sideways. Even if you go in too hot you basically just hit the bank and keep going. I felt more comfortable shooting this video without a helmet than I do driving to work without one. Oncoming traffic is way more dangerous, yet most people accept that risk every day. 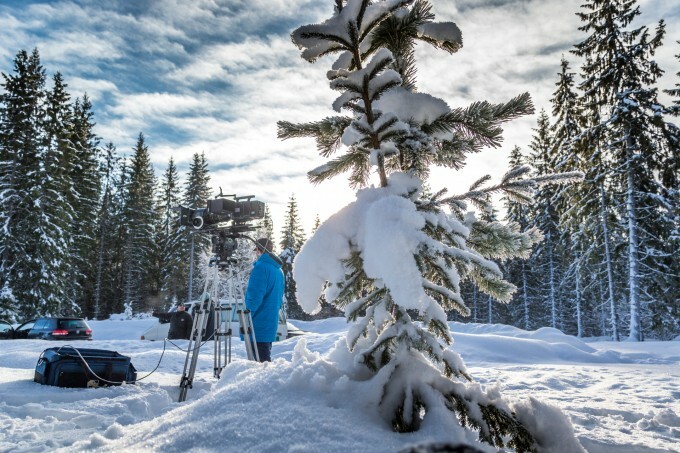 Thanks for your time to explain, I wish we had more snowbanks in Aus! Checkout "Targa Tasmania" footage for our version of back road racing. Having owned Mx32s and a Mark II corona and seeing similar examples after a crash I can say that Mr. Toyoda hadn't considered crumple zones.. be careful! I look forward to the update on the cage build and Nordschleife, even a "how to" tech insight speedhunters? 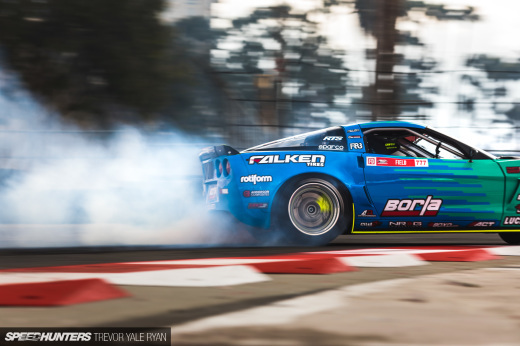 Also Fredrik.. will the 2J get some boost at any stage? Looks like you were in the limit there. If your going to do stuff like that. You should get softer suspension with more travel.. cool video and good driving.